Tweezing hair removal, also known by the less professional term of plucking, uses tweezers to remove hair one by one. When done correctly it takes the entire hair from the follicle, with results lasting up to six weeks. It's convenient. So you have a lone, stray hair hanging out somewhere that you want gone right now? Tweezing can quickly get rid of it, without any prep work or other products. In fact, tweezers are what professionals use to remove any stray hairs left behind after waxing and sugaring. Great for control. You have more control and accuracy when shaping your own brows. It can be a lot trickier to get wax or sugar right where it needs to go when doing a d.i.y. eyebrow shaping. They especially make a great tool for men, who want to do some brow detailing without the feminine definition or arches. Temporary results can turn into permanent. Over time, frequent tweezing can cause the hair follicle to become damaged which can result in hair growing back finer or stop growing. But, this wouldn't be so great if you wanted to change the shape of your brows. Good tweezers can uplift short hair. Coarse dark facial hair can be rather easy to spot and feel even when it's short in length. Well-made tweezers, especially the slanted ones, can grasp short hairs without breaking them. Inexpensive. You can get a quality pair of tweezers for around $20. That's a steal, considering that you can use them over and over to shape up your brows or grab a rogue hair. Many other hair removal methods require replenishing products like wet shaving, waxing, depilatories, and sugaring. It's tedious. You would need hours to tweeze a large area of hair. Just tweezing the eyebrows (get directions) alone, can take a half hour or more if there's a lot of work to do. A bad or old pair will drive you crazy. Short hairs can be hard to get with ones that are cheap, flimsy or have lost their sharpness. These tweezers will often slide or break the hair the hair instead of removing it adding extra time or frustration. Can be misused. People often dig tweezers into skin trying to reach hair, causing scrapes, scabs and possible scarring. It definitely depends on where on the face or body you're removing the hair its thickness. With tweezers mostly being on the face, the upper lip has to rank as the most pain-provoking area. Of course, pain is relative and everyone has their own perception. 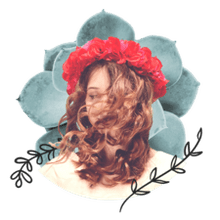 In sensitive areas or those who would call themselves having a low pain tolerance, it can be compared to the kind of annoying discomfort from pulling off a band-aid slowly. There are some ways you can lessen the pain. Always hold skin taut or firm when tweezing. This helps prevent pulling on the skin and minimizes pain. Tweeze after you come out of the shower, or apply a warm compress so the hair and follicle are soft and relaxed. If it still really hurts, next time try a numbing product which is made to desensitize skin for waxing. At Home: The average cost of a quality tweezer is $20 - $40, my pick is Tweezerman Slant Tweezer. I love that the edge is slanted instead of straight, allowing the tweezers to get close to the skin and curves of the face-- like the chin. 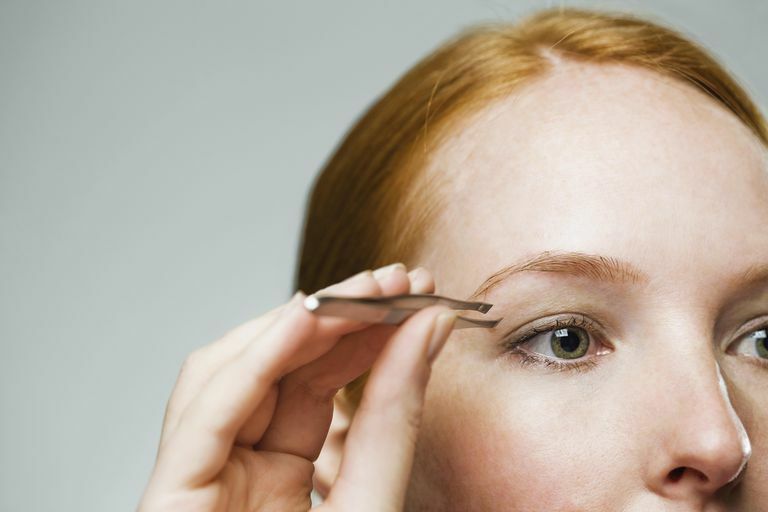 Professional: An eyebrow shaping at a salon, spa or brow bar solely using tweezers costs $10 - $50. Multiple tiny tweezers are often found on the head of many epilators that do the work for you removing the hair quickly. Check out: Epilators 101. Tweezers, or a version of what we use today, can be found back thousands of years ago. See a photo of ancient Roman grooming implements.